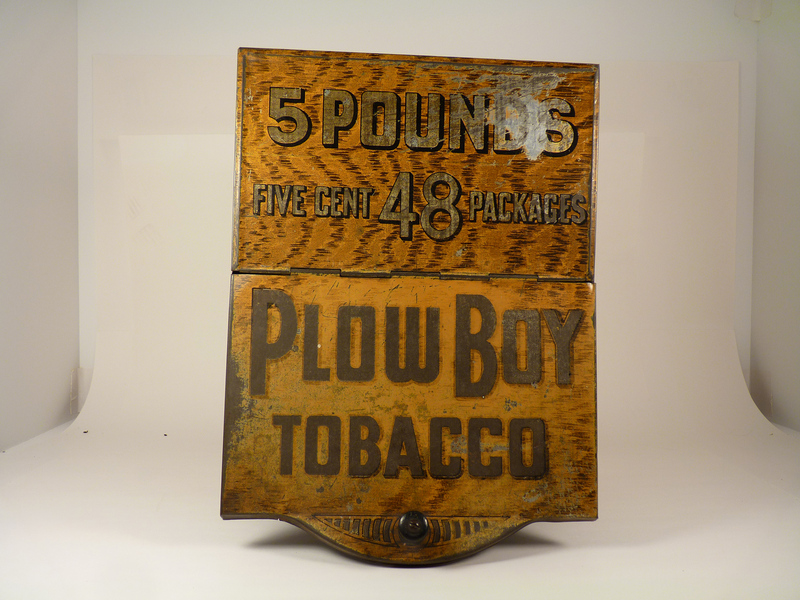 Country Store Display Bin for Plow Boy Tobacco. 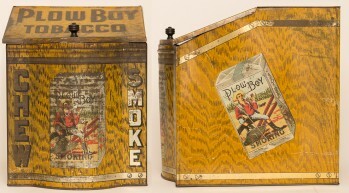 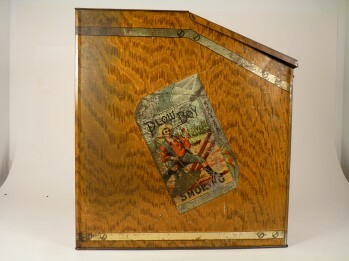 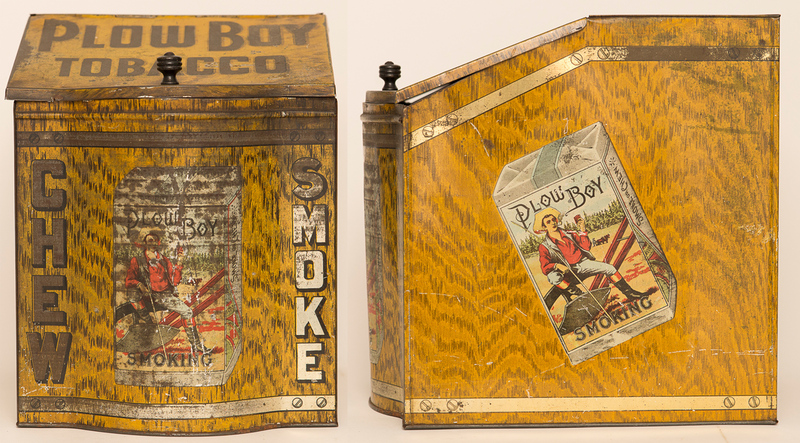 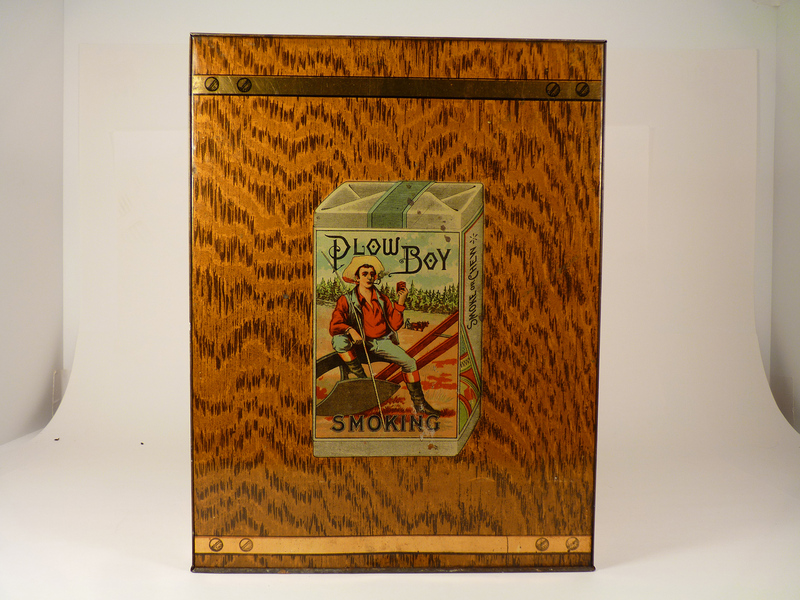 Bin has faux wood grain background and features image of the Ploy Boy Brand tobacco pack on the front, sides and back. 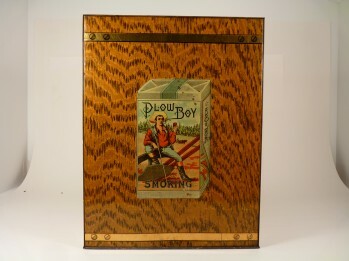 Bin has litho loss on front and top, but sides and back are clean and bright. 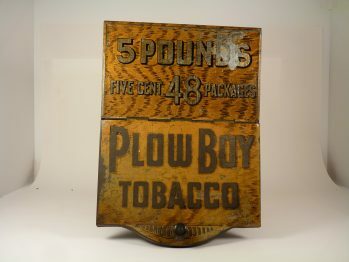 Size: 8" x 10" x 10.5"